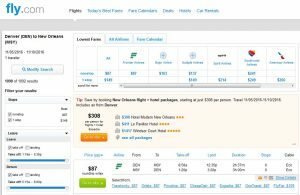 Fly on over to the Big Easy this fall or winter and save up to $150 on the usual cost. 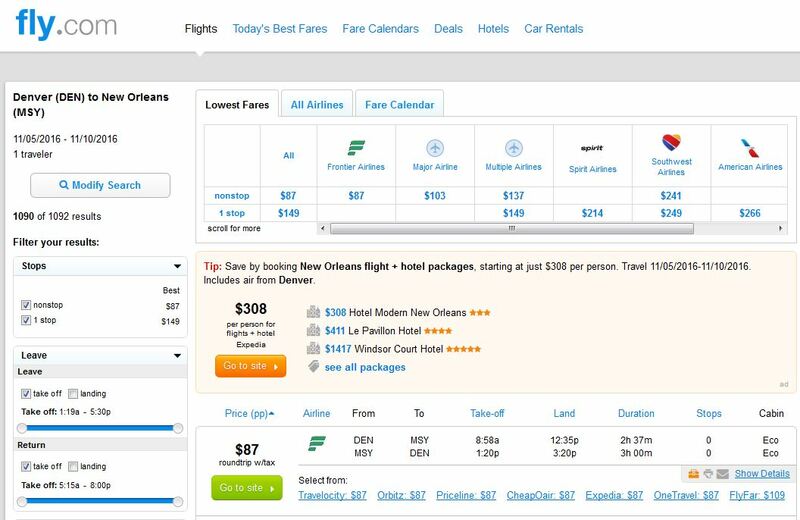 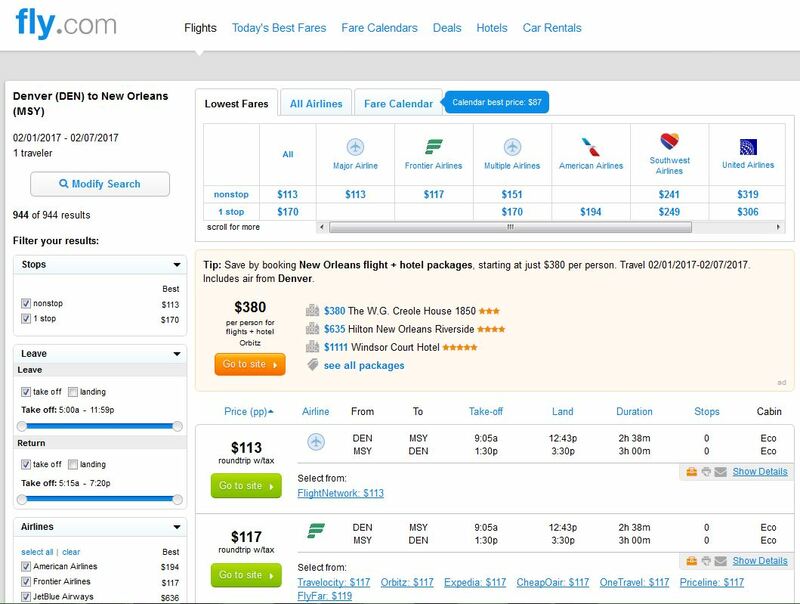 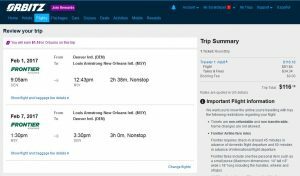 Frontier Airlines has dropped the price of nonstop flights from Denver to New Orleans to just $87-$117 roundtrip, including tax. 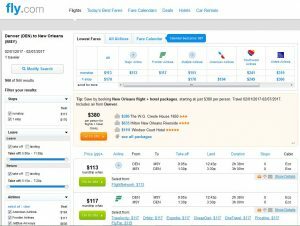 Travel Oct. 9 to Dec. 13 & Jan. 10 to Feb. 7. For more cheap fares from Denver, click here. 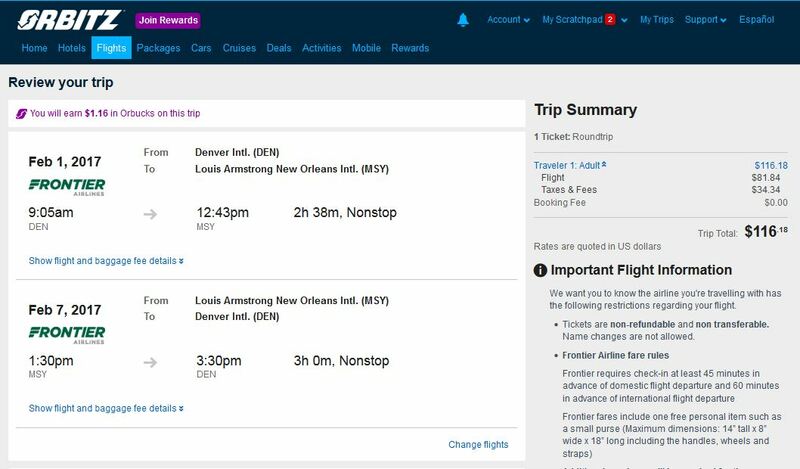 Frontier charges for both checked and carry-on bags, usually $25-$35 for the first item. 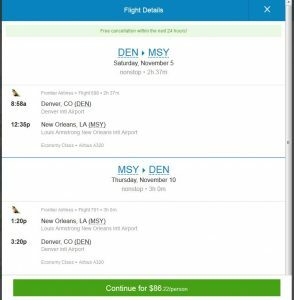 Frontier Discount Den email subscribers receive discounts on baggage fees and flights, so it’s worth signing up.